Home / Blogging 101 / Blogging 101--> How to setup a Feedburner feed for your Blogger Blog? Blogging 101--> How to setup a Feedburner feed for your Blogger Blog? Once you publish content on your blog you want to get a dedicated followership for your content. This is made possible by content syndication. 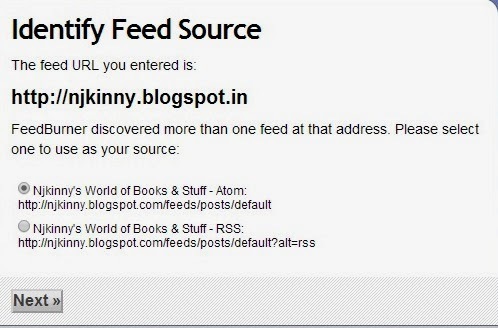 Feeds make it possible for the content of your blog to be distributed to people beyond those who visit your site. Content Syndication makes it possible for all feeds from your blog be delivered to readers' inbox. 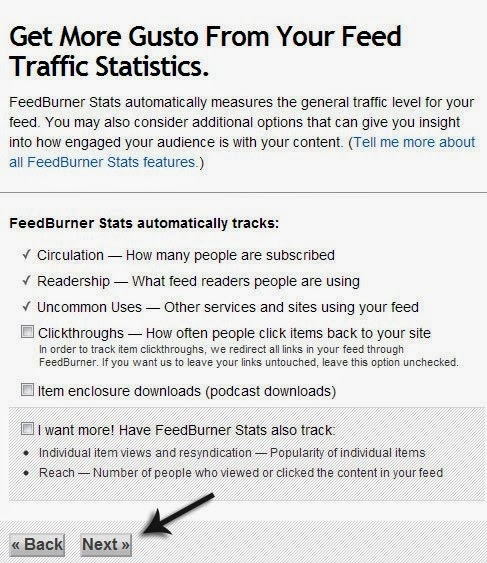 RSS Feed Syndication or Google's FeedBurner is the most popular service for Content Syndication. Step 1: Sign-in to FeedBurner with your Google Account. 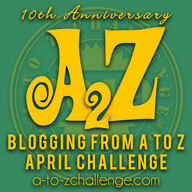 Step 2: Type your blog url in the Burn a Feed and click Next. Step 3: Identify your feed url and click Next. Step 4: Enter your feed title and address and click Next. Step 5: Check the options you want and click Next. 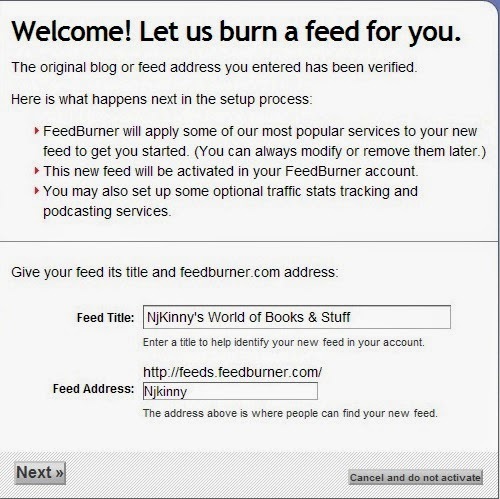 Step 6: Your FeedBurner feed is setup and you will receive a congratulation message on your screen. 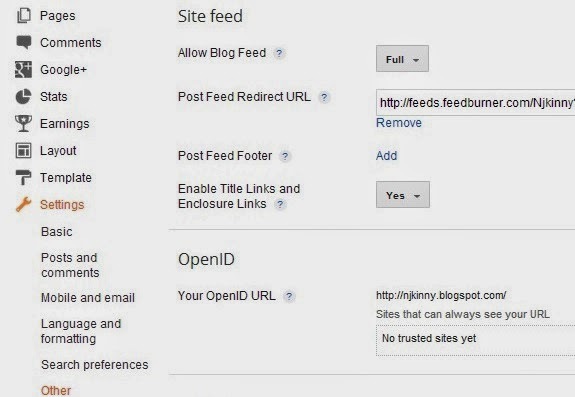 Step 1: Goto Blogger Dashboard--> Settings-->Other and navigate to "Site Feed". Step 2: Click Edit and enter your "Post Feed Redirect" url.